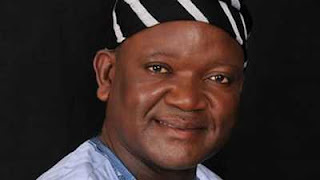 The Benue State Governor, Samuel Ortom yesterday distanced himself from the quit notice reportedly issued to herders by a group known as Middle Belt Renaissance Forum. The group was said to have met in Abuja few days ago where they issued the quit notice to herders in the region. Ortom, reacting to the development through his Chief Press Secretary, Terver Akase in Makurdi, stated categorically that the Benue State government, himself and the people of the state were not part of the quit notice. “The said notice will not have any impact or effect in Benue State and it should be disregarded by all Benue people, including Fulani herdsmen living in the state. Security agencies should investigate the matter and apprehend those behind the quit notice,” he said. According to him, Benue State enacted a law prohibiting open grazing to pave way for the establishment of ranches and the implementation of the law scheduled to commence in November this year but does not provide that herders should leave the state.